The Theodore Roosevelt National Park in North Dakota was named after the United States 26th President. The winter climate in this park comes with a few warming spells. Sometimes roads in the park will close during the winter season because of the snow. Snowshoeing and skiing is a great way for visitors to explore the park during the winter season. This park is rich with wildlife like bison, elk, prairie dogs, white-tailed deer, grouse, mule deer, eagles, feral horses, and pronghorns. This park has a semi-arid Northern Great Plains climate. During the summer season, there are high temperatures that reach into the 90s, but on some days may reach into the 100s. In the summer evenings, the temp can drop as low as 50 degrees F.
This park has two visitor centers that offer visitor information and maps of the area. This is the perfect place to take a family vacation because there is so much for the whole family to see, do, and enjoy. Events take place in the park throughout the year and guided tours are available. There are three campgrounds that are located in the park and they remain open all year. This park attracts people from near and far. It has a lot of natural beauty to offer visitors. Tents, trailers and recreational vehicles are available at these campgrounds. That will provide excellent accommodations for campers. These campgrounds charge small fees for visitors. Backcountry camping is also available and visitors are required to have a permit, but the permit is free. You and your guests can enjoy many outdoor activities like fishing, hiking, nature trails, wildlife viewing, biking, horseback riding and more. Family packs are available and kids can enjoy the Junior Ranger Program. This program offers activities like bingo games for children. 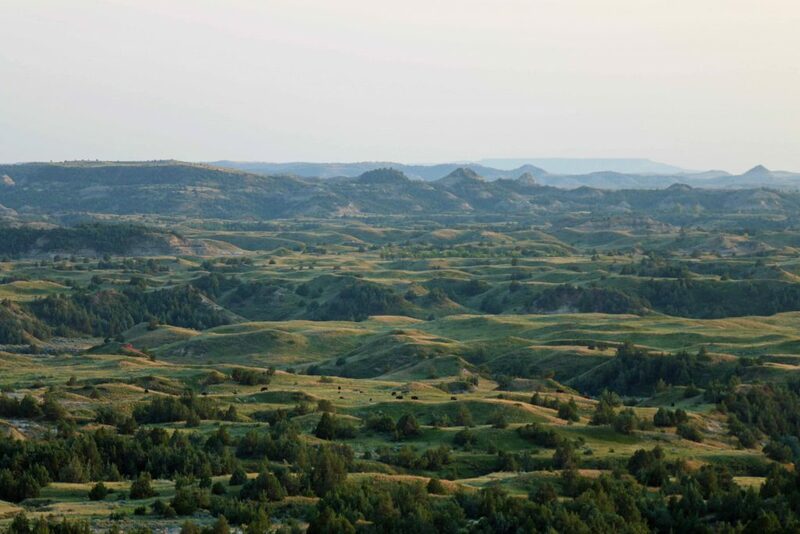 Theodore Roosevelt National Park in North Dakota has quite a few nearby attractions too. Some of these attractions include historic sites, scenic trails and Indian villages. This park has an annual park newspaper that delivers information like the status on roads, safety, lodging, dining, pets and more. If you are planning to visit North Dakota this summer, then you will not want to miss visiting the Theodore Roosevelt National Park. There are so many cool things to do in Theodore Roosevelt NP! Getting around the park is really easy because there are many choices like walking, bus, car, plane, and train. Many people who come to explore this great park often return again. The Little Missouri River flows through the park and this river provides much fun and activities like watersports for visitors. During the winter season, there is river ice, but it breaks up in early April.